Is it possible that the Bible’s account of priests and prophets contains hints of borrowing from the Greek world? Not that those Hellenistic features mean we have to jettison entirely sources and influences closer to the Levant. Let’s look at another section of Russell Gmirkin’s Plato and the Creation of the Hebrew Bible (2016). The Tribes of Israel modeled on the Athenian and Ideal Greek Tribes? The Bible’s Assemblies and Offices Based on Greek Institutions? The narratives of the Hebrew Bible (Old Testament) are set in Syria, Sinai, Egypt, Mesopotamia, Jordan, Phoenicia, Canaan and that fact affects the way we imagine how the authors created those tales. We picture them drawing upon memories, traditions, stories both oral and written from the those same lands. We expect scholars to look to the law codes, the religious practices, the governing institutions and social customs of the Levant, the Hittites and Mesopotamia for the context of the biblical literature and, as expected, they do indeed find points of contact in those places. I will bend Judah as I bend my bow and fill it with Ephraim. I will rouse your sons, Zion, against your sons, Greece, and make you like a warrior’s sword. and Anselm Hagedorn’s Between Moses and Plato: Individual and Society in Deuteronomy and Ancient Greek Law. Behold, I have taught you statutes and judgments . . . for this is your wisdom and your understanding in the sight of the nations who shall hear all these statutes, and say, ‘Surely this great nation is a wise and understanding people.’ For what nation is there so great, who hath God so nigh unto them as the Lordour God is in all things that we call upon Him for? And what nation is there so great, that hath statutes and judgments so righteous as all this law which I set before you this day? So for Gmirkin’s thesis it is not without significance that the earliest secure evidence of the Pentateuchal writings dates to that time, the third century BCE, and that the primary theme and interest of these writings is the same as we find among Greek philosophers of that time — the establishment and exposition of ideal constitutions and perfect laws intended to support the happiest and most righteous society imaginable. In the final post in this section of Gmirkin’s study we look at some aspects of the Pentateuch’s Aaronid priests, related Levites and roles of prophets. We will see that while the Pentateuch has significant departures from Athenian practice and Plato’s philosophical ideals there remain certain points of contact that are worthy of attention. We know from Aristotle (Politics 1300a, 19ff; Athenian Constitution 57) that Athenian priestly offices were appointed either by popular election or by lot, but that it was necessary for a certain ratio of candidates to belong to two ancient priestly families, the Eumolpidae and Kerykes. One of course thinks of the Aaronids in the Pentateuch and the Zadokites in the Book of Ezekiel. In following up Russell Gmirkin’s endnotes I came across a notice that the title of “high priest” was unattested for any Greek city up to the middle of the third century, or the Hellenistic era. It is interesting that Plato’s philosophical discussion should be considered as a possible source for institutional innovations in Athens in the Hellenistic era. That classicists take this view strengthens Russell Gmirkin’s argument that the same writing influenced the authors of the Pentateuch. What is particularly interesting, however, is that Plato further spoke of a need for the priests of Apollo and Helios to be of the most virtuous character. Physical perfection was not sufficient. Calling for morally pure priests sounds very biblical but I don’t think Gmirkin draws attention to a specific link in this respect. (Correct me if I err.) There is certainly a condemnation of priests who act immorally in the Prophets, however. Another unique innovation from Plato was his assignment of civic duties to these priests. That is, their functions extended beyond sacrifices and other “religious” duties. We have previously seen that the Pentateuch likewise assigned civic responsible to priests in that they were to supervise the conduct of the king and we will see further instances of civic responsibilities for priests in the section Experts in Sacred Law below. Gmirkin notes the similarities between the intolerant beggar priests. Interesting though that is, Plato does in fact speak sneeringly of these people and playwrights mock them. Gmirkin comments on this fact but does not take the discussion any further. If the biblical authors were borrowing from the Greek literature and precedents they were by and large cleaning up their models or referencing sources now lost. Yet when it comes to narrative history such as in the Book of Judges, chapter 18, we read of a fickle levite willing to hire himself out to the highest bidder; and then in chapters 19 to 21 one such itinerant ultimately brings bloody ruin upon the tribes of Israel. In a more positive vein we read of their ideal status, landless and dependent upon charity, as ordained in Deuteronomy 12:11-19; 14:22-27; 26:11-13; Numbers 18:23-30. While temple priests performed sacrifices and other rituals they were not experts in sacred law. That skill was reserved for another class of officials, the Exegetes. Exegetes would be consulted to interpret omens, to give advice on the number and types of sacrifices (and to which gods) were required for certain festivals and ceremonies, advice concerning sacred areas and what was required to cleanse an area of blood pollution (Morrow pp. 423-427). The problem of blood pollution was no small matter. It is the stuff of Greek tragedies and legislation in the Book of Deuteronomy. In the following notes I expand slightly on Gmirkin and draw directly from an article he cites: Anselm Hagedorn, “Deut 17,8-13, Procedure for Cases of Pollution?” ZAW 115 (2003) 538-56. 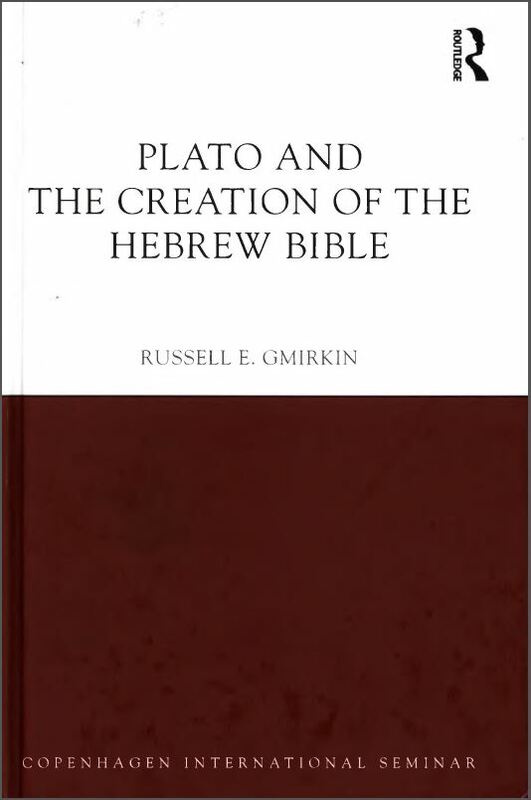 Gmirkin discusses the details of the laws themselves and their comparisons with Greek and Near Eastern legislation in the next chapter but in this post we are interested in the way the biblical priests appear to fill the role of Athenian “exegetes” of interpreters of the sacred law, with a focus on their role in cleansing a territory of blood guilt or pollution. 9 and thou shalt come unto the priests, the Levites, and unto the judge who shall be in those days, and inquire; and they shall show thee the sentence of judgment. Crimes of bloodshed were to be heard and resolved at the deity’s central shrine and alongside civil judge (as in Athens, apparently chosen annually) were priestly experts in sacred law. 2 thou shalt separate three cities for thee in the midst of thy land which the Lord thy God giveth thee to possess it. 3 Thou shalt prepare thee a way, and divide the borders of thy land, which the Lord thy God giveth thee to inherit, into three parts, that every slayer may flee thither. 6 lest the avenger of the blood pursue the slayer while his heart is hot and overtake him, because the way is long, and slay him, whereas he was not worthy of death, inasmuch as he hated him not in time past. 10 that innocent blood be not shed in thy land which the Lord thy God giveth thee for an inheritance, and so blood be upon thee. The inference is that the priests, like the Exegetes in Greece who also decided on steps to be taken to cleanse the land of blood guilt after certain types of killings, would make the judgement on God’s behalf. So ye shall not pollute the land wherein ye are; for blood defileth the land, and the land cannot be cleansed of the blood that is shed therein, but by the blood of him that shed it. The defilement of the land has to be avoided at all costs since a defiled land reflects upon the condition of the people living in it. However, there are cases in the Old Testament where it is explicitly stated that a killing is justified and thus no blood guilt will occur . . . . In Ex 22,1 we read that it is acceptable to kill a burglar as long as it happens at night. As we will see below, in the Greek world too certain killings do not trigger pollution. And of course the killing in self-defence or war does not lead to pollution either. . . .
2 then thy elders and thy judges shall come forth, and they shall measure the distance unto the cities which are round about him that is slain. 4 and the elders of that city shall bring down the heifer unto a rough valley, which is neither eared nor sown, and shall strike off the heifer’s neck there in the valley. 5 And the priests, the sons of Levi, shall come near, for them the Lord thy God hath chosen to minister unto Him and to bless in the name of the Lord; and by their word shall every controversy and every stroke be tried. 6 And all the elders of that city who are next unto the slain man shall wash their hands over the heifer that is beheaded in the valley. 7 And they shall answer and say, ‘Our hands have not shed this blood, neither have our eyes seen it. 8 Be merciful, O Lord, unto Thy people Israel, whom Thou hast redeemed, and lay not innocent blood unto Thy people of Israel’s charge.’ And the blood shall be forgiven them. 9 So shalt thou put away the guilt of innocent blood from among you when thou shalt do that which is right in the sight of the Lord. Another form of pollution — in both the Greek and Hebrew worlds — arose from illness. Exegetes and priests were called upon to divine the will of the appropriate deities for the correct measures to be taken to cleanse persons and property. In the Bible we are used to reading about prophets, but the Greek term, mantis, can as well be translated oracle, seer or soothsayer. Plato allowed for women to become both priestesses and prophetesses but as we know the Bible permits gender equality only for the prophets and even that seems to be quite rare — notably Miriam, Deborah and Huldah. The most famous Greek prophetic institution was the prophetess at Delphi who spoke as the conduit for Apollo. Some prophets were attached to the temples, others were “free-floaters”. As we know, prophets would be consulted before making a decision on military expeditions and any other important course of action. Until now I have been interested in Russell Gmirkin’s coverage of legal and constitutional institutions. His next chapter gets into the nitty gritty of specific laws. I have no intention of addressing all of these but will single out a handful for discussion. Gmirkin, Russell. 2016. Plato and the Creation of the Hebrew Bible. Routledge, New York. Hagedorn, Anselm C. 2004. Between Moses and Plato: Individual and Society in Deuteronomy and Ancient Greek Law. Vandenhoeck & Ruprecht, Gottingen. Posted on 2017-02-22 10:29:36 GMT+0000 by Neil Godfrey. This entry was posted in Uncategorized and tagged Gmirkin: Plato and Creation of Hebrew Bible. Bookmark the permalink. I am little bit confused with your “introduction”, is it included as a defense against what Gmirkin is proposing (meaning all the books are written in the Hellenistic ages)? http://www.jhsonline.org/Articles/article_189.pdf , who positions the composition of Zachariah 9-14 in Ptolemaic ages. About Joel I know nothing (yet). Ah, yes, I see the confusion now. No, I meant to say (as does Gmirkin, iirc) that certain details of the priesthood (e.g. details of sacrifices, for starters) may well have been taken from local customs or traditions. The Pentateuch’s account of the priesthood contains similarities to what we read of certain Greek ideals (Plato) and customs (Athens), but these elements do not mean that our descriptions in the Pentateuch also derive from practices in Canaan/Palestine. Thanks for the links. There is so much, much more to read and write about. Again an article from “Bible and Hellenism”. In fact if you search the articles of this book you will find many in Academia. Late to this discussion; although I shall have to pick up the book being reviewed and I’m kind of sympathetic to the extremely late Old Testament hypothesis, the biggest problem I’ve always had with it is the complete lack of Greek loan words outside of Daniel. I think that’s a big problem, because avoiding linguistic anachronism when writing a text that is supposed to be older than it really is would have been a really, really hard thing for ancient peoples to do, as evidenced not only by their failure to do so with the Greek in Daniel but with the Persian loanwords found in several other Old Testament books where they shouldn’t be. This absence of Greek in the Old Testament is perhaps an even bigger problem for the Gmirkin theory in question because the authors are not (as with some other very late OT theories) Greek-hating Maccabeans or Hasmodeans but rather people immersed in and admiring of Greek culture. And yet they manage to produce a huge amount of fine literary Hebrew with not a trace of Greek language or for that matter of Greek literary style (and when a little later it comes time to write the Septuagint, all they can come up with in their own working, native language is a Greek text so slavishly literal to the Hebrew, so unartistic that one modern theory considers it something of a early form of interlinear). Are any of these considerations addressed in the text under review? Hi Bertie. I will keep your question in mind and try to respond as I learn more. My first thought, though, is the Septuagint. I don’t know/can’t recall off hand if we have evidence that the Pentateuch was not first written in the Greek version. We have the story of the translation of the Hebrew into Greek, but that is of course a mythology — God inspiring the 70 scribes independently, etc. I wonder if the Hebrew text came after the Greek. It would also be interesting to study what sorts of intellectual exchanges we might have expected in Alexandria. 12 …then the elders of his city shall send and fetch him thence, and deliver him into the hand of the avenger of blood, that he may die. In other words, the penalty for murder was that the “avenger of blood” – presumably the family of the victim, the expression is so obvious to the writer that he doesn’t need to define it – had the right and perhaps duty to kill the murderer. That’s why the punishment for a murder isn’t stated in a clear way for us – it was taken for granted. So the Deuteronomic law only needed to legislate in respect of unintentional manslaughter, by putting a limit to the overwise self-evident rights of the “avenger of blood”. I omitted the Hebrew text and substituted 4 dots and [blood]. Pingback: Vridar » Mosaic Laws: from Classical Greece or the Ancient Near East?